What started out as my higher cushioned training substitute for my racing flats to avoid stress post-injury turned out to be my full time racing shoes on trails, tracks and road races after realizing how good its performance is. The first thing that impressed me about the Ultra Boost is the amazing comfort it provides. 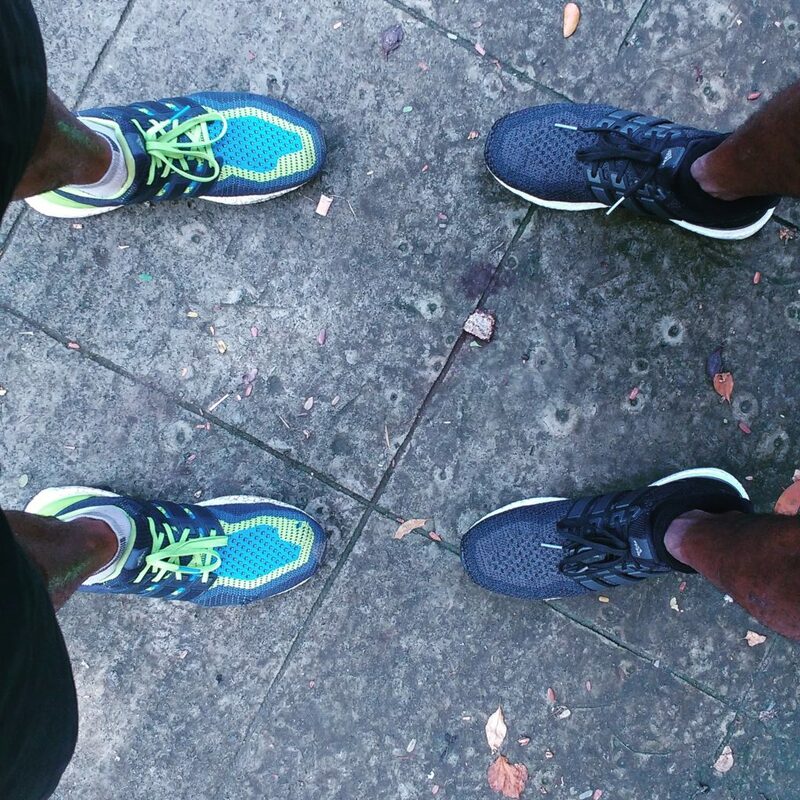 With a 100% Boost foam cushioning mid-sole, the shoe offers amazing comfort during the run that makes you feel like you’re floating on a layer of air, and at the same time doesn’t compromise on speed or mileage with its robust build. It’s as comfortable as a plush couch, and as fast as a skimpy racing flat!!!! After recovering from a series of injuries, some caused by casual overuse and some by unfortunate accidents, I decided to ramp my weekly mileage down by atleast 25% till i became strong enough to handle longer distances. I bought my very first pair of Ultra Boost, a bright Solar Red colour, under the belief that the solid 100% Boost cushioning would save my legs from the intense pounding brought on by the never ending training miles, and it proved to be one of the best choices I have ever made. 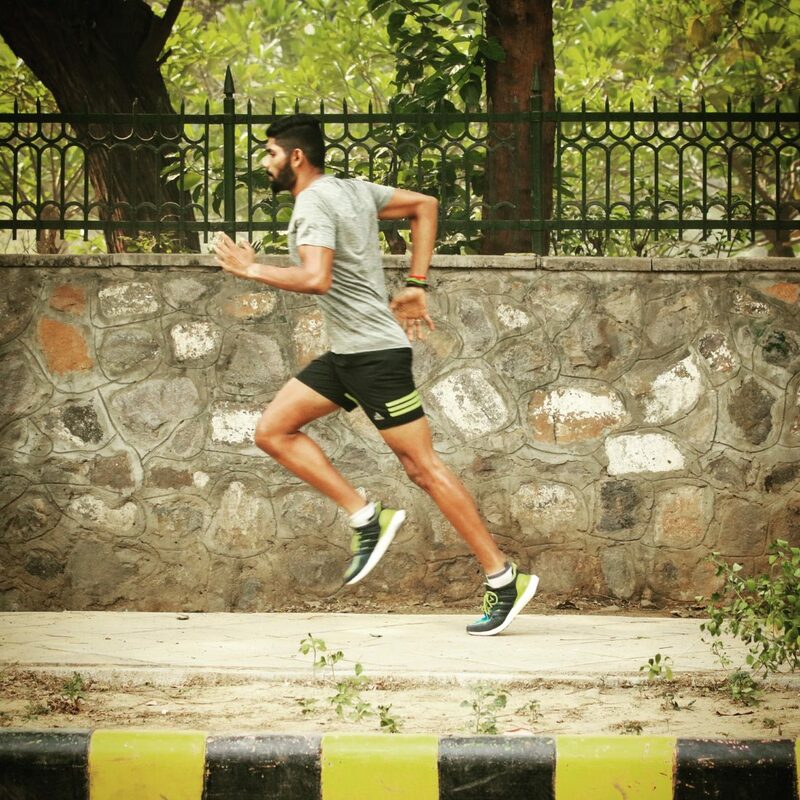 For almost 4 months after slipping on my very first pair of Ultra Boost, I was using them only for my training runs, preferring to race on my racing flats, the Adios Boost, but with just 2 months to go for my A-race (Standard Chartered Dubai Marathon 2016, where I clocked my PB of 3:12), I started doing longer faster runs on the Ultra Boost and discovered to my surprise at how easily they adapted to the speed. 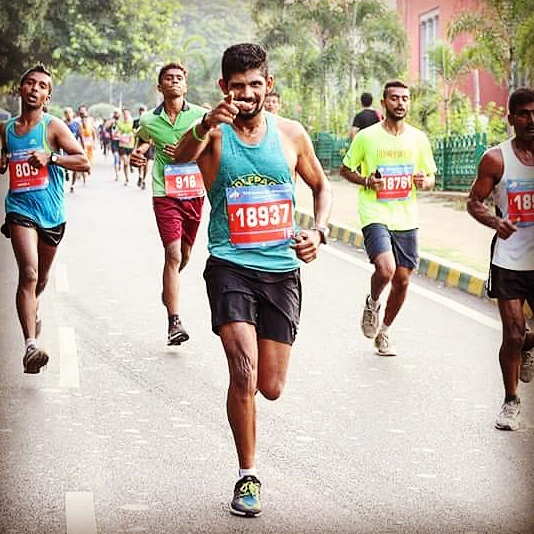 It was still a pre-raceday decision for me to race in the Ultra Boost, and they didn’t disappoint me one bit, giving me a personal best timing of 3 hrs 12 mins for the full marathon and showing that they can be as fast as any other racing flat and still provide amazing cushioning and comfort that my legs needed minimal time for recovery. The energy return on the Ultra Boost is one of its best features. With a 100% boost mid-sole, the bounce that you get from each and every step easily propels you into a fluid movement that helps you maintain a constant gait, pace and strength. 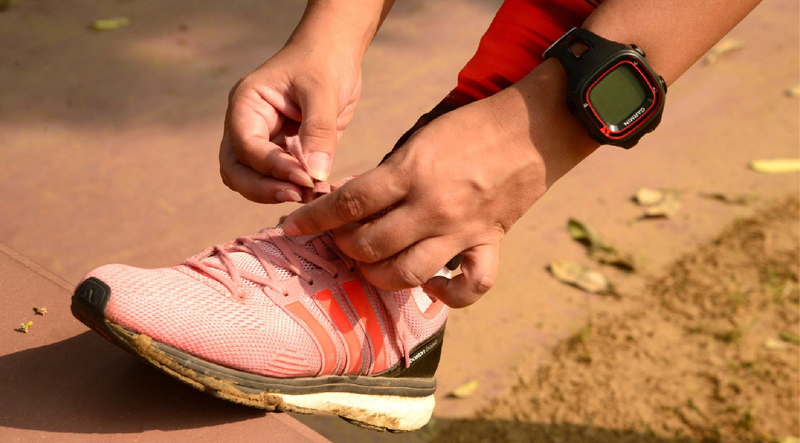 The neutral layout of the shoes make a mid-foot strike extremely easy and comfortable that the entire pressure if lifted off the forefoot and the heels, thereby minimising your energy expenditure on each step. The continental rubber out sole is made from the same material that goes into the amazingly tough continental tyres that are seen on high-end SUVs, and they are something that can withstand the wrath of any terrain. 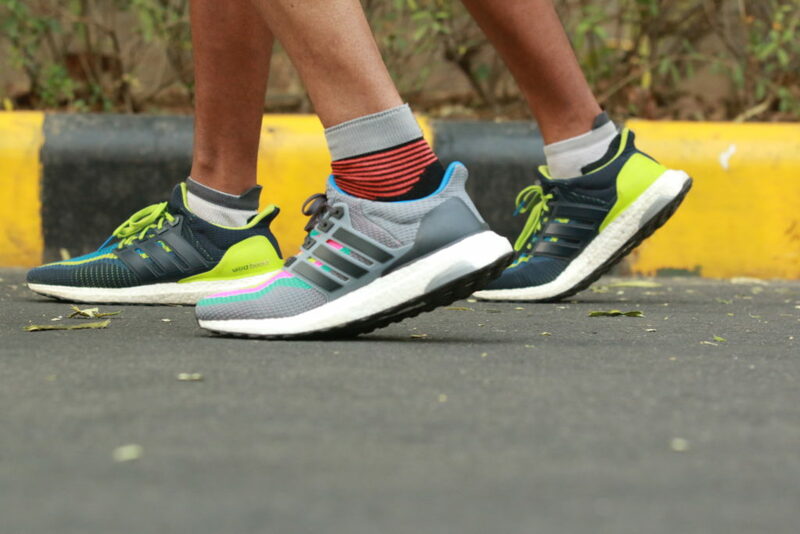 I am currently on my 3rd pair of ultraboost after having clocked 1500+ kms on my first pair and 1650+ kms on my 2nd pair through trails, rocky hills, roads, racetracks, running tracks and my personal favourite, the treadmill, and these shoes just refuse to die on you. One more striking aspect of the ultra boost is the very breathable, expandable, extremely comfortable in all weather, and funkily colourful Prime knit upper that makes this shoe just irresistible ! My personal favorite are what I call the LSD colours ! On a scale of 1 to 10, the Ultra boost bags a perfect 10 in terms of comfort, durability, speed, and looks. Even when you’re not running, you can match them with a pair of jeans and a tee that would make you look hip in any party scene. The Ultra Boost is one pair of shoes that will always find a place in my stable and would be my no 1 choice for any type of run ! I have heard it’s better to run on ball of foot (mid foot or front foot landing) and heard that cushioned shoes tend for heel striking. Is it better to run on flat shoes which develops your neuro muscular co-ordination to land on fore foot? So why buy these cushioned shoes when you don’t need so much on heel ?